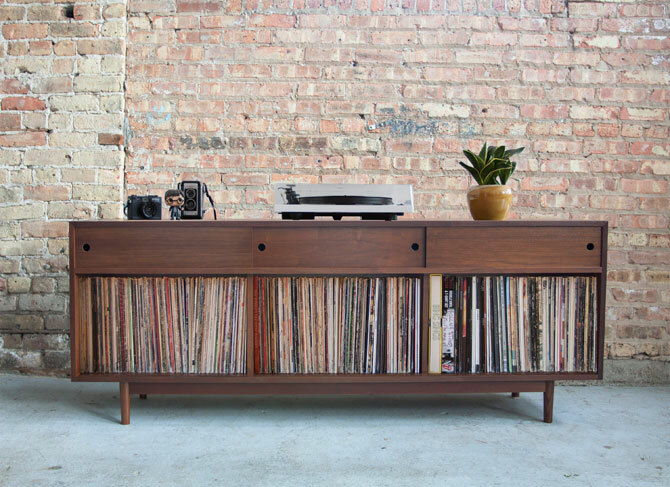 If you take your vinyl seriously, then you probably want a serious option for storage too. 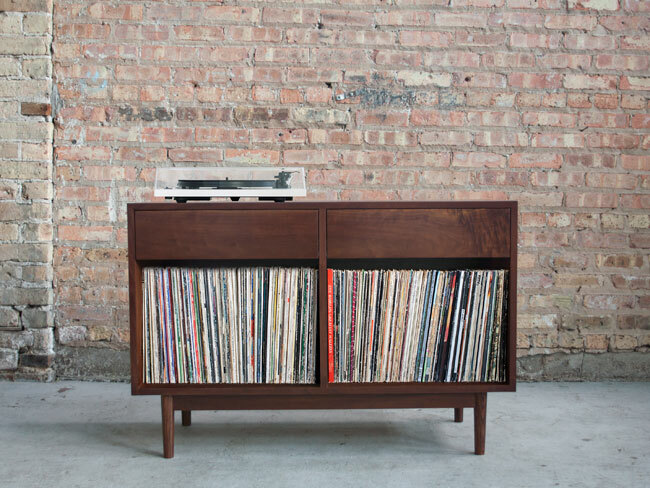 Like the handmade midcentury record storage by Department Chicago. These have been on my radar for a while, but for some reason I keep losing track of the company as other things hit the inbox. Not today. This is the day I feature the range in all its glory. 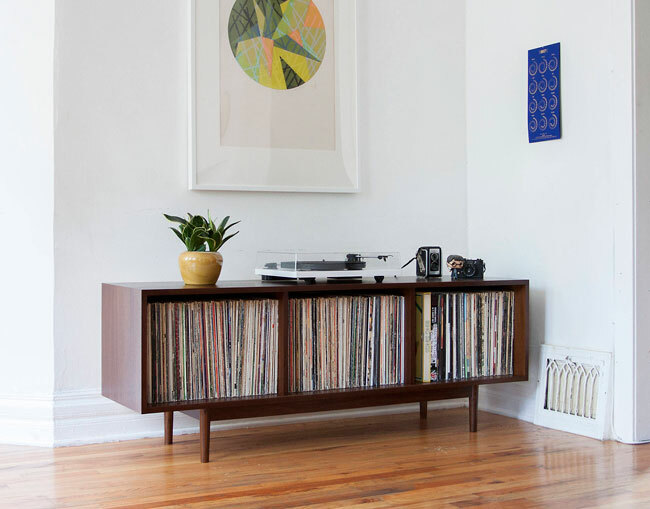 It is a glorious range too, especially if you love midcentury modern design and of course, you love your records. If you have read this far, I’m guessing you do indeed love both. The basis of all there units is the classic 1950s or 1960s sideboard. All the pieces have that distinctive look. But rather than having a couple of drawers and some closed cupboard storage below, these items are custom made for 12-inch vinyl records. What you pay depends on how big you want to go. But none are what I would call cheap. Why would they be? 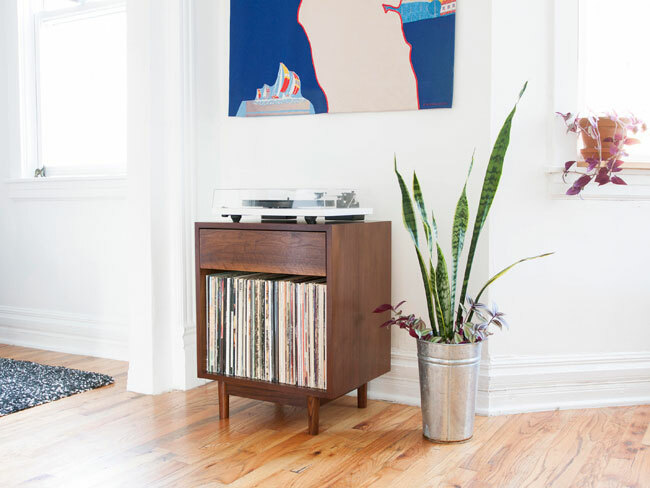 Each is handmade and produced and available in either a maple or walnut finish, with all corners and joints heavily secured to take the weight of all that vinyl. Of course, as each is made to order, there is a wait for each one too. So do allow something like 6 to 8 weeks for your cabinet to arrive. I’ve featured a number of the units here to give you an idea of the range and the prices of each one. At the top of the page you have the big boy, which holds over 425 records and has additional component storage and a good amount of surface for a player and more. That’s the priciest at £948.34. Going down the page you will find variations of the theme, but in terms of capacity and features, although all do a similar job and have a similar look. Pricing goes down gradually, with the cheapest and smallest unit selling for £357.11. See everything at the Department Chicago Etsy website. 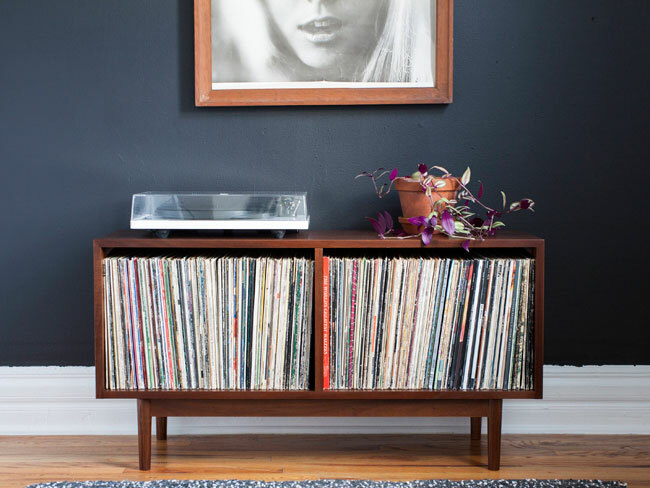 For more ideas aline similar lines, check out my top 10 record storage units round-up.